Lots of people love eating bean curd custard or 豆腐花 (doufuhua) but many eat it sparingly due to the use of calcium sulphate in the commercial production of this lovely and delicious dessert. However, there is a natural curdling agent that can be used. 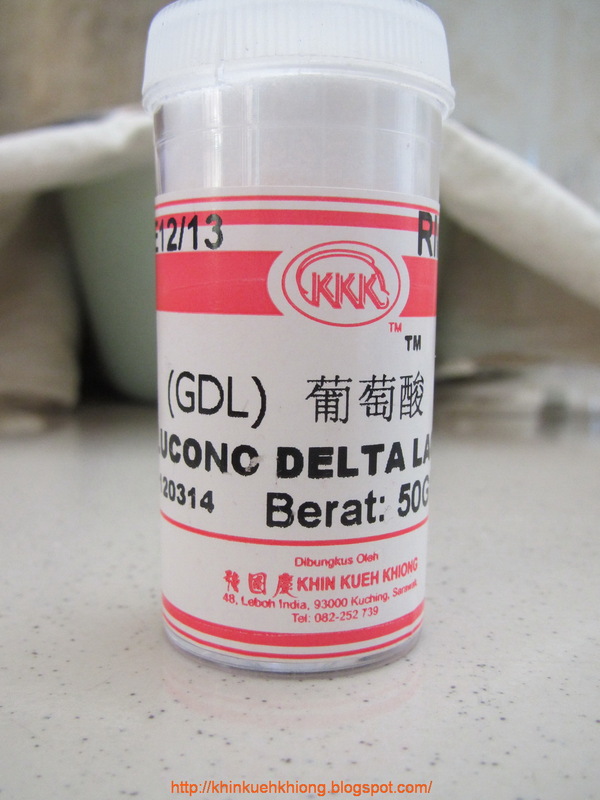 It is known as GDL (glucono delta-lactone） or 葡萄酸。Click on the name to get more information about this product. Either buy 2L of raw soya bean milk from the local wet market or make your own soya bean milk. To make soya bean milk, just soak 400g of soya bean and then blend the soya beans in 5 batches using 400 ml of water each time. Filter to get about 2L of soya bean milk. 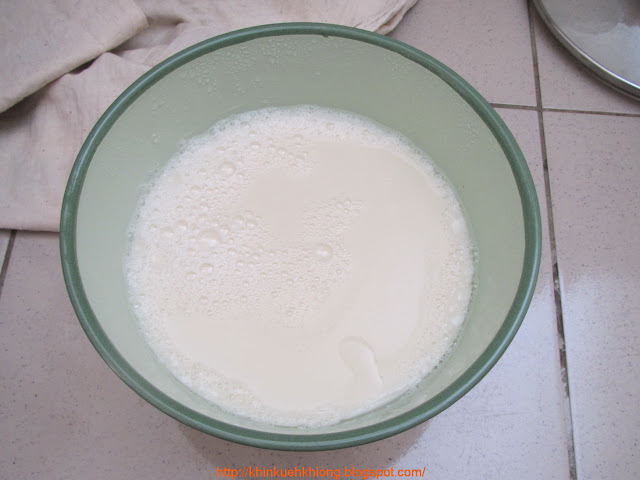 Boil the soya bean milk (stirring continuously) to boiling point. Meanwhile, mix the cornflour, GDL and water and then add to the boiling soya bean milk. Mix well and then turn off the heat. Pour carefully into a large covered container. Place a piece of cloth over the container and cover it. The cloth is to catch the condensation. Leave it UNDISTURBED for at least 30 minutes. After 30 minutes, the doufuhua (豆腐花) is ready. To make the sugar syrup, just boil at low heat some sugar with a slice of ginger and a couple of pandan leaves (if available) until it turned syrupy. Add sugar or water as required to make it syrupy.